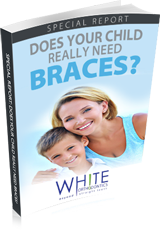 Creating a beautiful smile requires dedication and cooperation from Dr. White and each patient. For this purpose, we are proud to offer our Smile Rewards Program! We always strive to exceed your expectations. Therefore, we created the Smiles Rewards Program, so we can recognize your hard work during treatment, by rewarding you with fantastic prizes along the way! Our Smile Rewards Program is easy and FUN! Bring your card to each appointment for your hygienist to swipe, and watch your points add up! 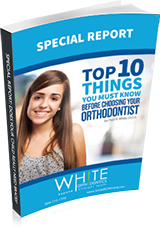 Becoming a fan of White Orthodontics on Facebook, and much more!!! You can only receive points at non-emergency appointments. You can purchase a replacement card for 10 points. You must present your card at the appointment to receive points.